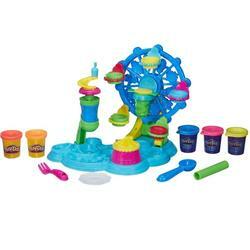 l Get the whirly, twirly fun started! 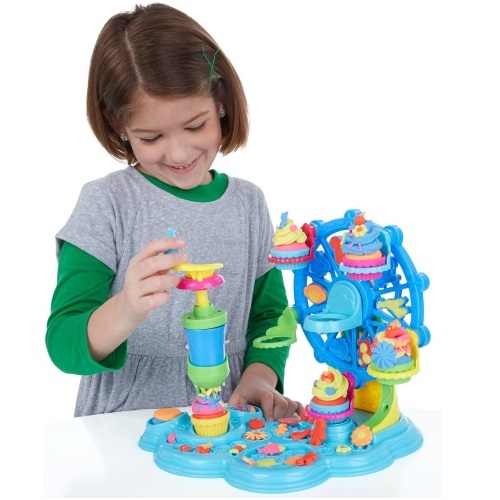 Give your Play-Doh bakery creations a sweet ride on the crazy cupcake Ferris wheel, then stop at the bottom and squeeze a dollop of Play-Doh Plus frosting on top. Next, pop your pretend cupcakes under the sprinkle crank to shower them in colorful Play-Doh sprinkles. 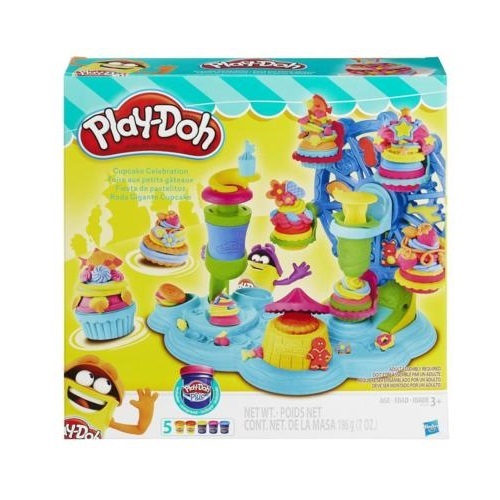 You can also create colorful pretend cookies, imaginary animal crackers, and make-believe candies to complete your Play-Doh dessert extravaganza!